"Alexis Mitchell’s THE BREAK, brilliantly utilizes its format to enhance its engaging story"
In his book “The Queen’s Throat: Opera, Homosexuality, and the Mystery of Desire,” Wayne Koestenbaum examines voice as a site of transgression and inherent queerness. He looks to physicality, sound and ideology to expose the different ways in which the voice acts as a marker of identity, both in building a solid gendered identity as well as having the possibility to completely dismantle notions of gender. He speaks about voice as a “voyage…traveling out from hiddenness into the world” (Koestenbaum, 155) and examines how the break in the singing voice from chest to head is inherently gendered – moving from male to female as it breaks. 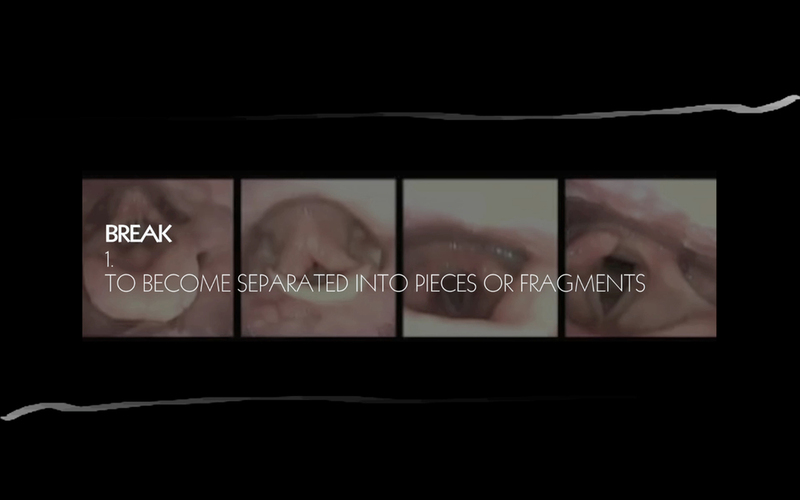 The Break, an experimental, performative documentary focuses on this idea of the "break" to explore the relationship between gender and the singing voice.